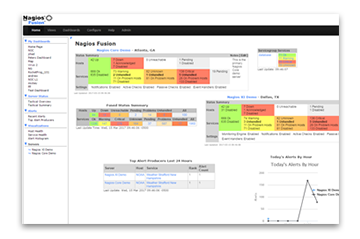 Nagios provides complete monitoring of applications and application state – including Windows applications, Linux applications, UNIX applications, and Web applications. 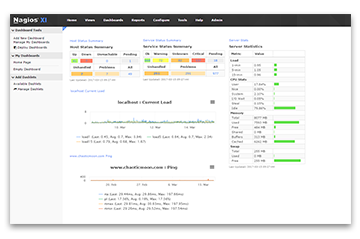 Nagios XI provides monitoring of all mission-critical infrastructure components on any operating system. 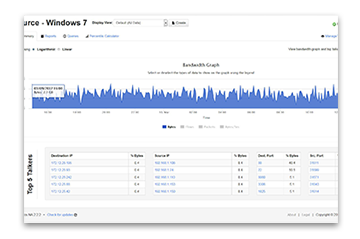 High-efficiency worker processes allow for nearly limitless scalability, monitoring effectiveness, proactive alerting, availability reporting, and comprehensive monitoring. Make sense of your data. 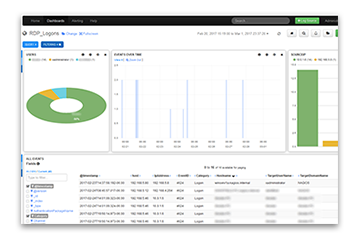 See security threats, audit any system, identify trends and more. Want to see who is hogging all the bandwidth? We can tell you who, what, when and where. Quickly see an at-a-glance visual indication of problems anywhere across your IT infrastructure. The open source industry standard in IT infrastructure monitoring and alerting.